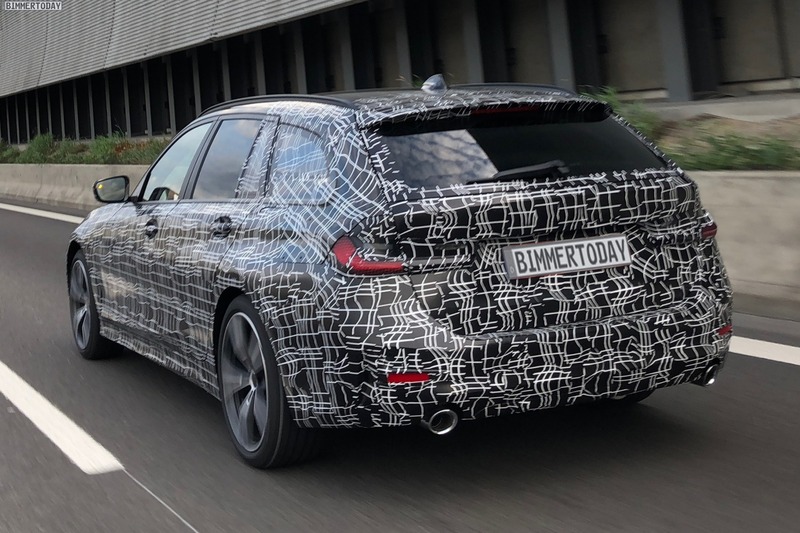 Just a few months after the G20 3 Series sedan, the new BMW 3 Series Touring G21 will also celebrate its market launch. 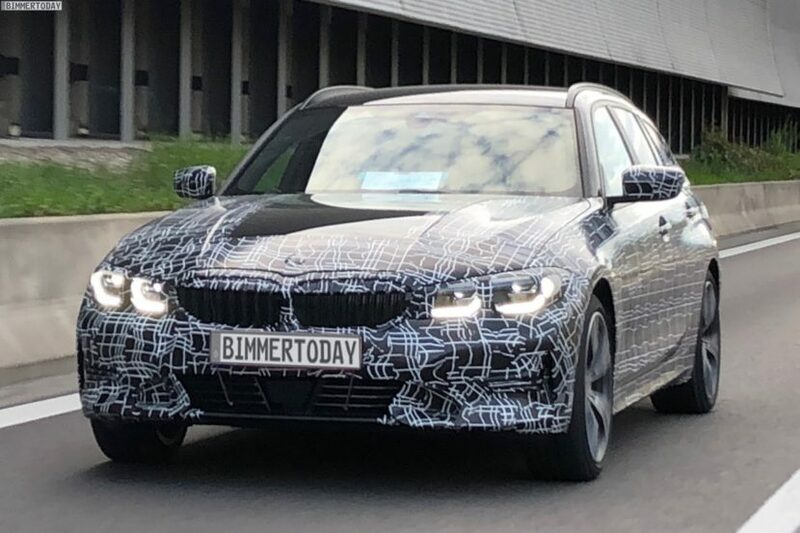 Bimmertoday’s reader Bobby has caught a test mule of the mid-range sports wagon on the Autobahn near Munich giving us a closer look at the athletic touring. Despite the camouflage, some details are clearly visible, including the directly interconnected mono-grill kidneys, and the shape of the headlights and taillights. Although the arrangement of the two tailpipes of the test mule would have been a clear indication of strong motorization in the previous generations, this will not be the case in the case of the G21 3 Series Touring. As already shown in the current 5 Series, the exhaust systems with one round tailpipe on both sides of the car are now also available for four-cylinder engines, such as the future 320d or 330i. For the sportier models, the current design language instead suggests more trapezoidal tailpipes. Technically, the BMW 3 Series Touring G21, like the sedan, uses the highly flexible CLAR architecture for vehicles with rear-wheel drive. The advantages of the new technical base are to make the G20 and its variants the most dynamic 3 Series of all time. Although the sedan variants play the main role worldwide, the practical Touring in Europe is a key factor in the success or failure of the seventh generation of BMW 3 Series. In the interior, it is already clear that BMW wants to take the wind out of the sails of all critics of materials and workmanship. The BMW 3 Series Touring G21 also gets the new infotainment system iDrive 7.0, which was previously presented in the X5 G05 and the G15 8 Series. 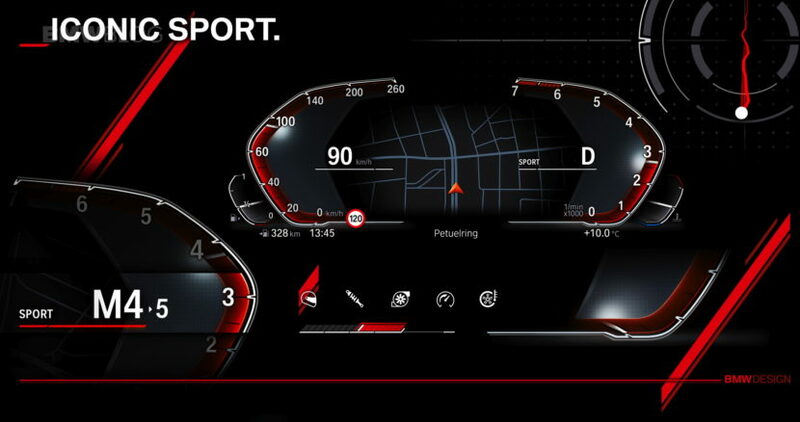 The range of electronic assistance systems is also significantly expanded, because even in the “autonomous driving” sector, the 3 Series should at least offer the functional scope of a current 5 Series. The Emergency Stop Assistant presented in the X5, which steers the vehicle safely onto the hard shoulder in a medical emergency and informs the rescue services, is also planned for the 3 Series. Less extensive than before, however, is the range of colors and optional extras as well as their combinability. Up to 80 percent less variants are planned for the new 3 Series G2x to make production even more efficient. For all friends of rare paint finishes and unusual color combinations, this could be a problem, because their wishes may only be fulfilled by BMW Individual. The Bavarians are nevertheless convinced that the measure will not hurt the sales figures because the only variants being deleted, are the ones with no high demand. 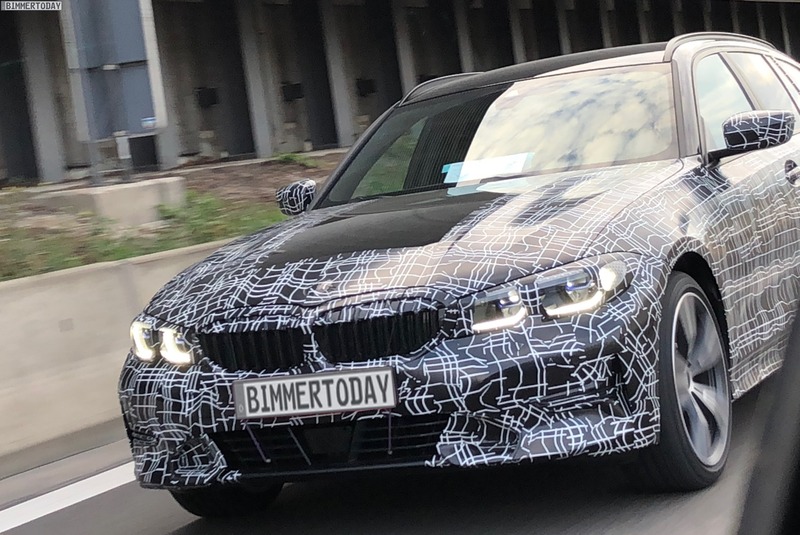 While the 3 Series G20 sedan will be presented later this year and celebrates its worldwide market launch in February 2019, the Touring customers have to be patient for a little longer: we expect the presentation of the BMW 3 Series Touring G21 in the spring of 2019, while the market launch is planned for the summer.